The JP161 is a small wrap single Bb French Horn ideal for students and young players picking up the instrument for the first time. Specifically designed with smaller hands in mind, the instrument features a small wrap design ensuring it is lightweight and easy to hold. The design of the JP161 is tailored to ensure a durable instrument geared towards younger musicians and first time players with the inclusion of neoprene valves bumpers and adjustable ducks feet / finger ring. This also ensures versatility of the instrument within schools and music services. The JP161 has been well regarded in the industry and comes recommended by Ian Smith of the Royal Ballet Symphonia who described it as "the best student instrument I have tried by a long way.". He went on to say "it is solidly built and seems very robust". The JP161 Bb French Horn represents a fantastic offering for those looking to start their musical journey on a single Bb horn. 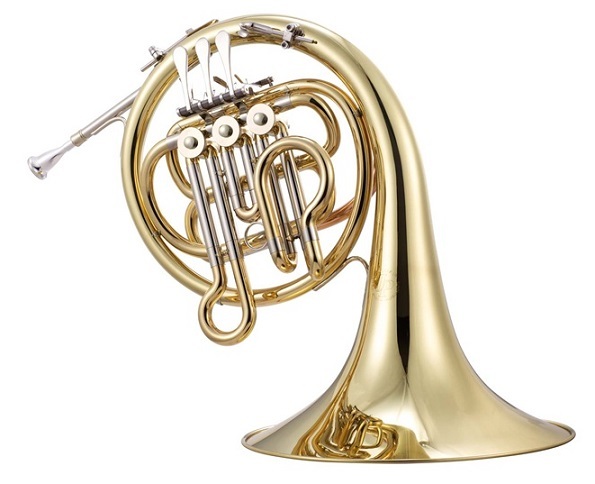 The JP161 Bb French Horn is constructed from yellow brass throughout and is configured in a small wrap Bb design. The instrument also includes a number of high quality components usually reserved for more expensive French Horns including a mechanical (ball & socket) linkage, neoprene valve bumpers and an adjustable ducks foot / finger ring. These features ensure the instrument is suitable for younger players without affecting the quality of the instrument's performance and are the reason the instrument has become so popular with the UK education sector. The JP161 is supplied with a JP612 mouthpiece and comes equipped with a high quality case for maximum protection. The case is lightweight, well-designed and attractively styled with a reflective strap for extra safety. A comfortable shoulder strap is included as standard. The case also includes a small external storage pocket enabling players to store small accessories and sheet music with their instrument. 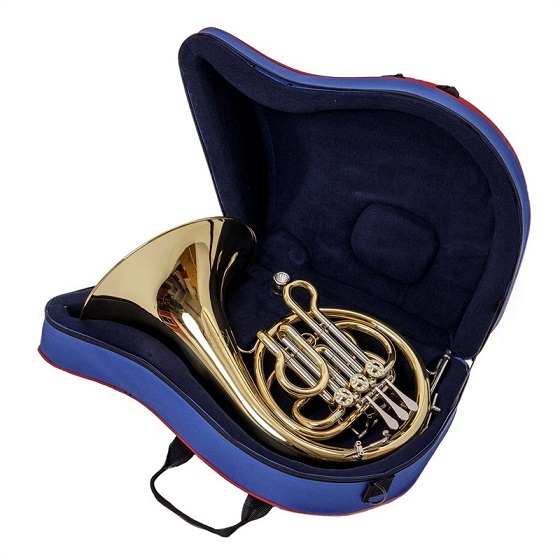 Manufactured to a high quality standard as is expected with all JP Instruments, The JP161 Bb French Horn is guaranteed for 12 months against faulty manufacturing or materials and is fully tested prior to sale.